Over the past year or two, as block size limits have been reached, Bitcoin has evolved to become better-suited to being an asset than being a means of exchange. This has led to Bitcoin becoming less for payments, however. Transaction confirmation times have risen substantially; this, in turn, has led to an increase in the failure rate of transactions denominated in fiat currencies. (By the time the transaction is confirmed, fluctuations in Bitcoin price mean that it’s for the “wrong” amount.) Furthermore, fees have risen a great deal. For a regular Bitcoin transaction, a fee of tens of U.S. dollars is common, making Bitcoin transactions almost as expensive as bank wires. 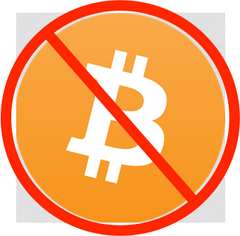 Therefore, starting today, we are discontinuing support for Bitcoin payments.